Here's the power you need to keep pace with your active life. With three 12-volt outlets plus a convenient USB port, this four-in-one-dynamo is perfect for powering multiple devices while you're on the go, including your laptop, IPod(R), cell phone and more. 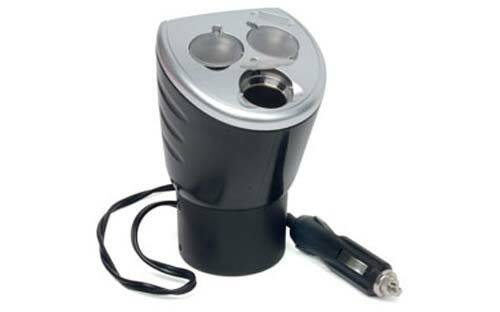 The sleek design fits into most cup holders and the connection ports glow in the dark for easy access in low light conditions. A built-in 10 AMP fuse protects your vehicle and your devices from any possible overloads. Another great innovation from RoadPro, your trusted travel companion, with providing everything you need for on-the-go living.